The Amphicar shoot is happening! I just scheduled a time to shoot this very Amphicar and I’m giddy with excitement. I love these things. I’m going to shoot a full Driving DeLuxe-style video like GenuineAlexReid and I did with the Ghiaru last winter. Expect a ton of underwater GoPro shots! 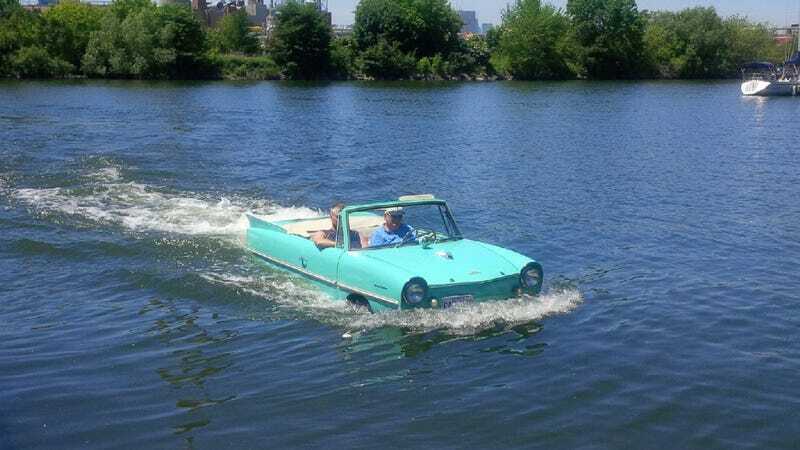 The particular Amphicar I found was originally purchased in 1963 by the current owner’s grandfather. It has sunk twice but remains largely original and totally sea-worthy.